Turkey Bean Chili is a delicious & hearty bowl packed with flavor. Ground turkey, veggies, & two kinds of beans cooked in a spicy tomato broth. Weight Watchers friendly recipe- Zero SmartPoints! It’s full on winter here in Indianapolis, which means I don’t want to go outside… at all! Well, only if it’s snowing. During the fall and winter months, all I want to eat is soups, stews, and chili. The possibilities are endless with this comfort food. 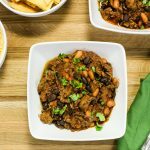 My Turkey Bean Chili is a delicious and hearty bowl packed with flavor. Lean ground turkey, peppers, butternut squash, and two kinds of beans cooked in a spicy tomato broth. 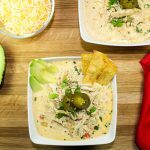 This is a Weight Watchers friendly recipe and 2 cups is Zero SmartPoints! I have to admit, I’m an officially loving the new Weight Watchers Freestyle Program that launched last week. The new program still counts SmartPoints, but they have changed the total value of SmartPoints for tons of food. Another big change is the program now allows you to carry over any unused daily SmartPoints into your weekly SmartPoints. This is big because there are days when I don’t use all my daily points but don’t want to eat anymore. Now, you can carry over up to 4 daily SmartPoints into weekly points, giving you more splurge points for the weekend! One of the biggest changes to the value of SmartPoints is that lean ground turkey, skinless chicken breast, fish, eggs, beans, and fat free Greek yogurt are now ZERO SmartPoints! THIS IS HUGE! These foods are things I eat the most often. I am so excited that I can finally enjoy eating these foods without worrying about SmartPoints. With these changes to the value of SmartPoints for these foods, I have a lot of updating to do with SmartPoints values and recipes I have posted so far. Hang tight as I work through getting everything updated! OK back to business…. Turkey Bean Chili. 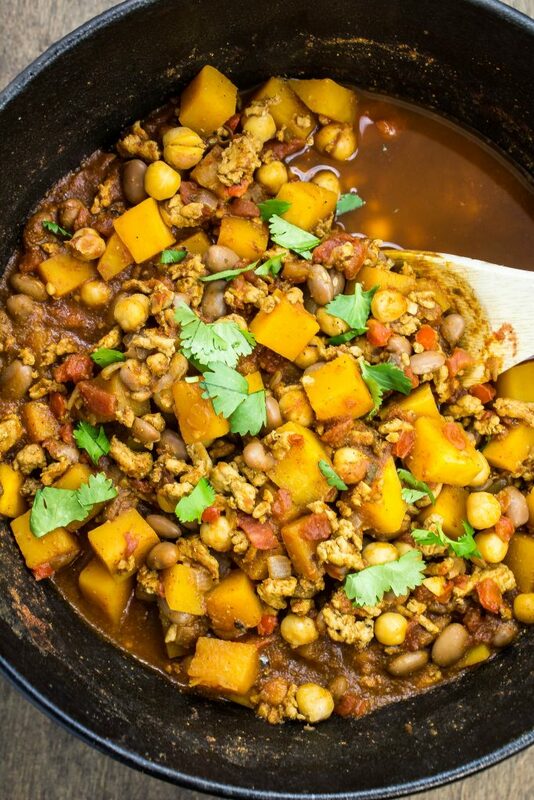 This chili is packed with lean group turkey, butternut squash, two types of beans, and a delicious tomato broth. 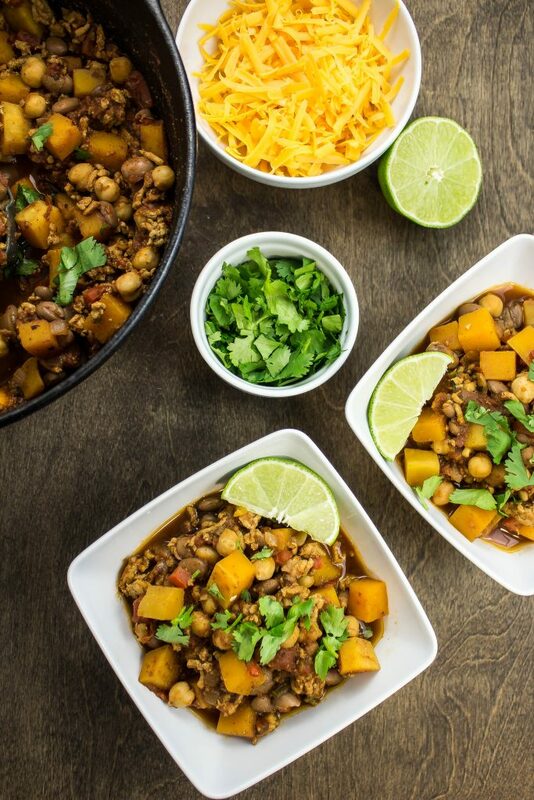 I know some of you may be wondering why I would add butternut squash to a chili recipe, but trust me… butternut squash is a really delicious addition to chili. I have squash in my fridge pretty much every week during the fall and winter months. 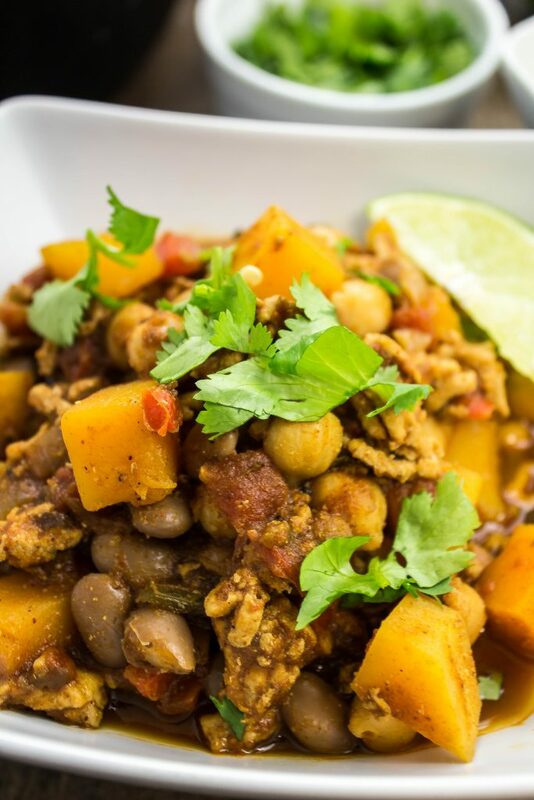 I love the squash in this chili because it adds a nice texture to the dish. This chili is rich with flavor and takes less than 1 hour to make! To start, dice up peppers, onions, garlic, and butternut squash. If you are lucky enough to find pre-sliced butternut squash, use that! 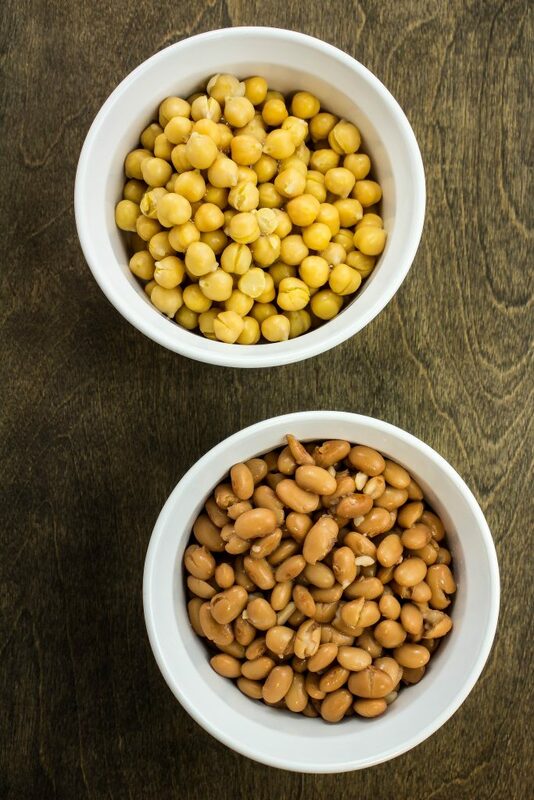 Rinse and drain canned garbanzo beans/chickpeas and pinto beans. Set aside. Heat a large pot or Dutch oven over medium low heat and add olive oil. 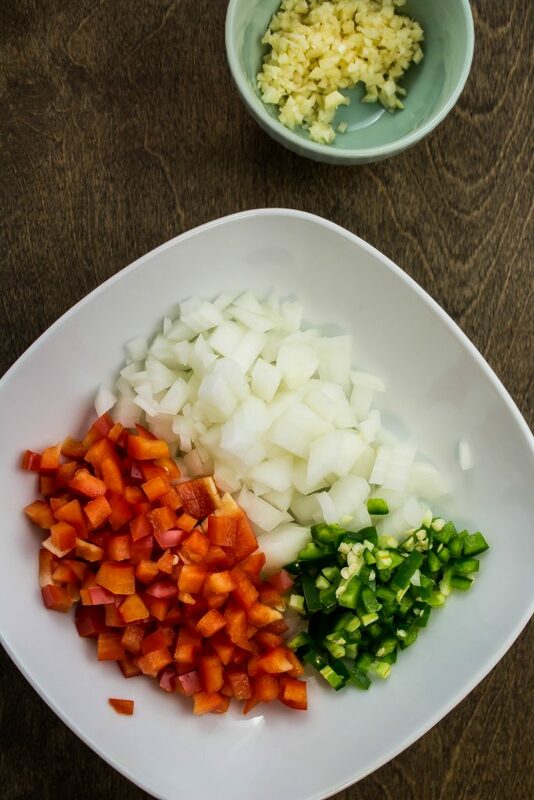 Add onion, jalapeno, and bell pepper. Sauté for 5 minutes until tender. Add garlic and sauté for another minute. Add ground turkey and brown until cooked, breaking up into small pieces. Next, add tomato paste and spices then cook for a few minutes. Finally to the pot, add butternut squash, tomato sauce, diced tomatoes, and vegetable broth. Mix well and bring to a boil. Cover, reduce heat to medium low, and let simmer for 30 minutes until the squash is fork tender. Add beans and let cook for another 5 minutes. 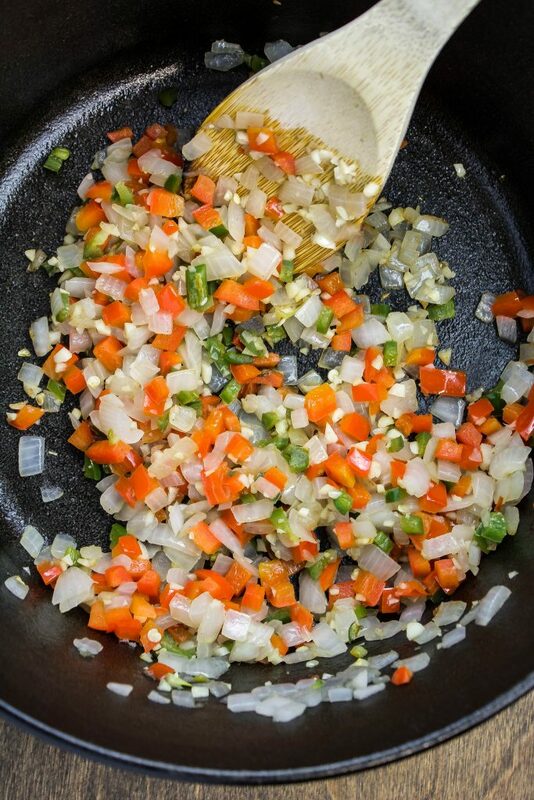 Remove from heat, add fresh lime juice, and garnish with cilantro. 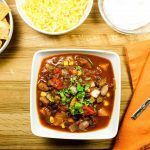 Turkey Bean Chili is a delicious and hearty bowl packed with flavor. Lean ground turkey, peppers, butternut squash, and two kinds of beans cooked in a spicy tomato broth. Easy to make and ready in less than 1 hour. Perfect for those chilly days! Zero SmartPoints under the new Weight Watchers Freestyle Program! Dice onion and bell pepper and set aside. 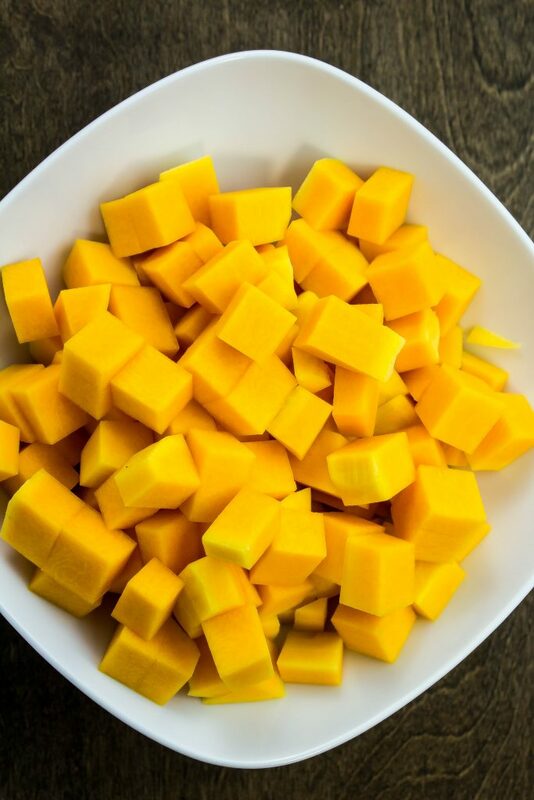 Peel butternut squash, remove the seeds, and dice into bite size pieces. Set aside. Rinse and drain canned beans and set aside. Heat large pot or Dutch oven over medium low heat and add olive oil. Add onion, jalapeno and bell pepper. Sauté for 5 minutes. Add ground turkey and brown until cooked, breaking up into small pieces. Add tomato paste, cumin, chili powder, smoked paprika, cayenne pepper, and Mexican oregano. Add butternut squash, tomato sauce, diced tomatoes, and vegetable broth. Cover, reduce heat to medium low and let simmer for 30 minutes, until the squash is fork tender. Add pinto beans and garbanzo beans and cook for another 5 minutes. The below nutrition is based on the NEW Weight Watchers Freestyle Program guidelines. Nutrition calculated using Weight Watchers calculator. Skillet Pasta Pizza Happy 2018! December 15, 2017 at 8:43 am Thanks Candy! 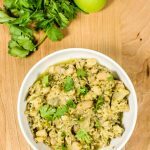 December 13, 2017 at 10:06 am This looks so delicious! Is it weird that I'm so excited that it's ZERO SMART POINTS?! I can't wait to add this to my WW meal plan. Thanks for sharing!! December 13, 2017 at 10:48 pm Zero weight watches points?! DANG! I'm pregnant but I heard about the new program rollout and I cannot wait to jump on that bandwagon once I'm cleared! I'm pinning this cause pregnant or not -- I MUST TRY THIS! December 15, 2017 at 8:42 am The good thing about this chili being zero points is you can add sour cream and cheese! Thank you Rachel!